What’s better than big savings at Island Water Sports? Don’t miss Island Water Sport’s annual Back to School sale. Join us Friday, August 3rd to Sunday, August 5th for huge savings throughout the store. Enjoy big savings throughout the store and FREE gifts with purchase. Look for deals to be announced on July 27th. DID YOU KNOW THAT SHOES, CLOTHING, SOCKS, BIKINIS, AND BOARDSHORTS $60 AND UNDER ARE TAX-FREE AUGUST 3rd- 5th? 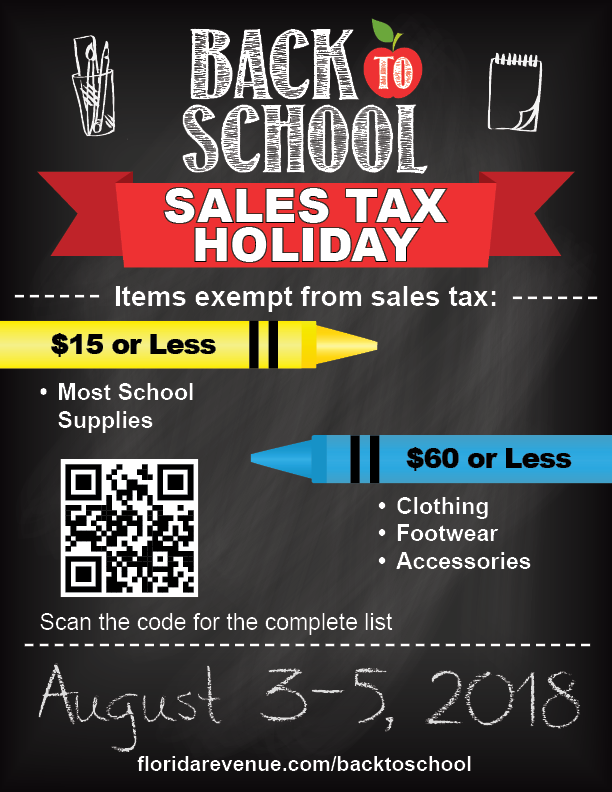 For more information and a list of qualifying items, please review the Department of Revenue’s Tax Information Publication (TIP) on the 2018 Back-to-School Sales Tax Holiday, as well as theFrequently Asked Questions document.